Chris Bradley, Martin Hirt, and Sven Smit are all leaders in McKinsey’s Strategy Practice. 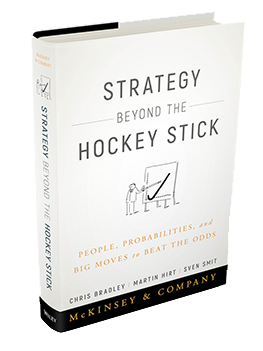 They are the authors of Strategy Beyond the Hockey Stick, a new book on strategy and performance. Marketers can learn an important lesson about the “social” pitfalls of strategy and why and how social dynamics can make or break your company’s aspirations. With so much information about strategy out there, what’s new here? Instead of providing frameworks and case studies, we spent five years doing empirical research on the world’s 2,400 largest companies (and their performance over a 10-year period) to share with readers what really impacts long term corporate performance. 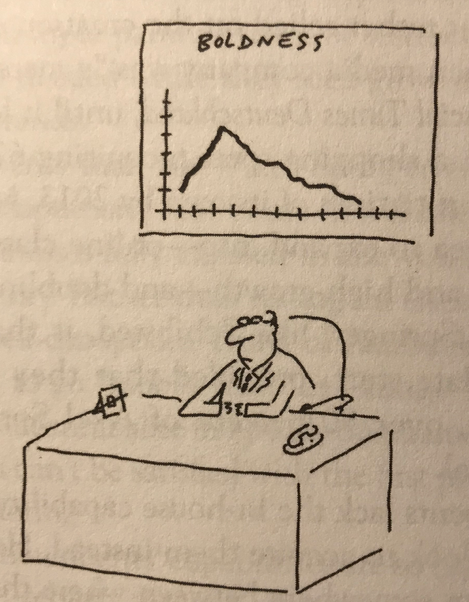 Instead of benchmarking a strategy with an “inside view” based on internal data – past performance, projections for the next year, and what their closest competitors are doing, companies can use an approach we arrived at to calibrate the odds of their strategies succeeding, so they have real benchmarks for making strategic choices. What is the “social side of strategy”? What’s with the hockey stick? What you typically see in strategy meetings are hockey stick charts. They confidently swoop upward to a rosy future growth, after an initial dip to account for investment in the first year. Their primary goal is to get a “yes” for resources the manager is requesting, so they have to be highly optimistic. 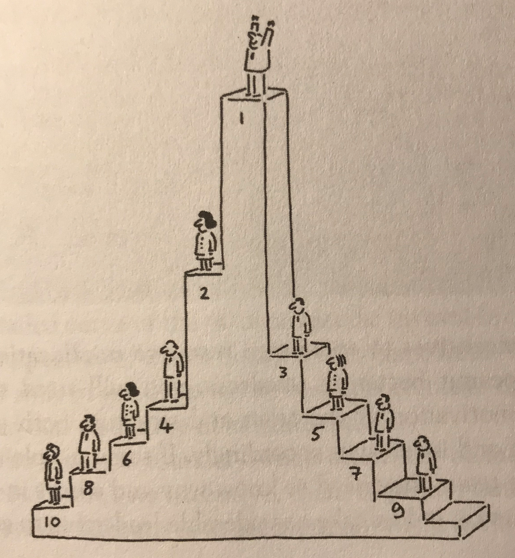 Those resources are how some managers maintain status and position themselves for the kinds of results that might get them promoted. The punishment for not getting resources is generally greater than for not having a hockey stick pan out. Understandably, these human instincts get in the way of a strategy ‘s potential for moving the needle. So how can companies break the hockey stick and conquer the social side of strategy that leads to them? You need reliable calibration that lets you gauge the odds of a given strategy succeeding. Now, based on an empirical analysis, you can test a strategy before you commit to executing it. Explicitly using this “outside view” can help you overcome some of the biases that let the social side bog down the discussions in the strategy room. You get the opportunity to move away from those 150-page PowerPoint decks that are designed to create diversions and numb the audience into saying “yes” to the proposal. How can you determine the odds of success for a strategy? The odds of an average company’s strategy succeeding at driving it to the top quintile of corporate performance are only eight percent. But it’s important to understand that this is just an average. You can calibrate your own, company-specific odds based on the business attributes benchmarked against those of thousands of other companies we’ve researched, and by knowing which of those attributes and actions are the most important in determining your chances for success. That knowledge will guide your decisions about where to dedicate your efforts to give your company the best chance of moving up in the rankings of economic performance, which we call the Power Curve. You can shift the odds by capitalizing on your endowment, riding the right trends, and most importantly, making a few big moves. Can you give us some examples of these “big moves”? For starters, it is nearly impossible to make big strategic moves if resources are spread thinly, like peanut butter on toast, across all businesses and operations. Our data show that you’re far more likely to make a major move up the Power Curve because one or two businesses break out than because every business or operation improved in lockstep. Spreading resources evenly gives too much to those units that are unlikely to succeed in a significant way while depriving the one or two that could tum into huge opportunities. The social side of strategy creates peanut butter tendencies and causes inertia about those resource allocation decisions. Corning has a long and proud history, having made the glass encasing Thomas Edison’s lightbulb, windows for the Apollo lunar landings, the first fiber-optic cable. But the challenges it faced in the early 2000s were formidable. Heavily invested in telecommunications, Corning was hit hard by the bursting of the dot-corn bubble. Revenue dropped in half, profits turned into heavy losses, and the share price plummeted 99 percent from its peak in September 2000 to its low in October 2002. Corning’s approach to recovery was a balance of scaling back the portfolio and scrutinizing the cost base, but also maintaining investment in R&D and long-term growth-the latter very difficult under the short-term pressure of shareholders. The result? Coming produced an amazing turnaround by making five big moves over a 10-year period, and leapt from the bottom to the top of the performance Power Curve. Their average annual economic profit improved by around $1.7 billion. And, importantly, 90 percent of the improvement in Corning’s economic profit was attributable to the company-not the market, not the industry, but to Corning’s big moves. What are the CEOs and CFOs you talk to most surprised to learn? They’re surprised by how hard it is to make a move on the Power Curve – that 8 percent statistic really resonates. They’re also surprised by the extent of the winner-takes-all dynamics. Companies in the top quintile capture nearly 90% of the economic profit created-some 30 times as much as those in the middle three quintiles. When presented a strategy plan, some CFOs can be tempted to play it safe by spreading resources across the whole business. Our research found that companies are more likely to succeed when they reallocate capital expenditures at a healthy clip-feeding the units that could break out and produce a major move up the Power Curve, while starving those that are unlikely to surge. The threshold here is reallocating at least 50 percent of capital expenditure among business units over a decade. Companies that shift more than 50 percent of their capital expenditure across business units over 10 years create 50 percent more value over that period than companies that move resources at a slower clip. Clearing that 50 percent threshold is necessary if CFOs hope to get the big boost in their company’s odds of reaching the top of the performance Power Curve. If your company has a portfolio of 10 businesses, chances are that only one of these can be a breakout success over a 10-year period. Correctly identifying that one and feeding it all the resources it needs will most likely determine whether the company as a whole can make a significant move up the Power Curve to become a top-performing company. What’s the first thing a reader can start applying from the book at their next strategy meeting? We present practical shifts that companies can use right away to change how they run the strategy process, and achieve better business outcomes. They include switching from an annual planning process to approaching strategy as a journey with numerous milestones constantly reviewed, and ensuring that resources are “liquid” so they can be freed from typical annual budget constraints and reallocated with agility. You identify eight specific shifts – can you tells us what they are? 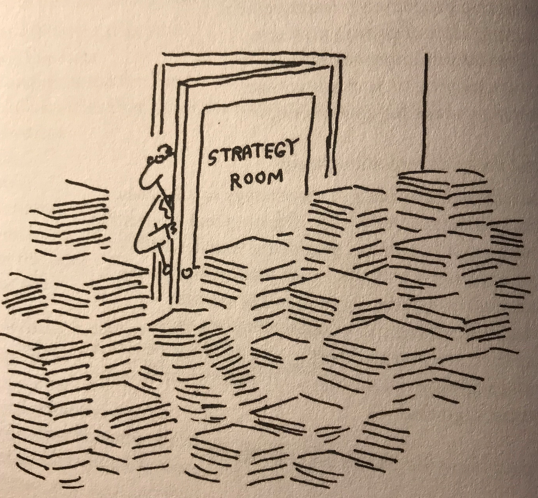 We’ve found that unlike a framework or a case study, there is nothing like a cartoon to get across the idiosyncrasies of human behavior that are so often in conflict with an effective strategy process.